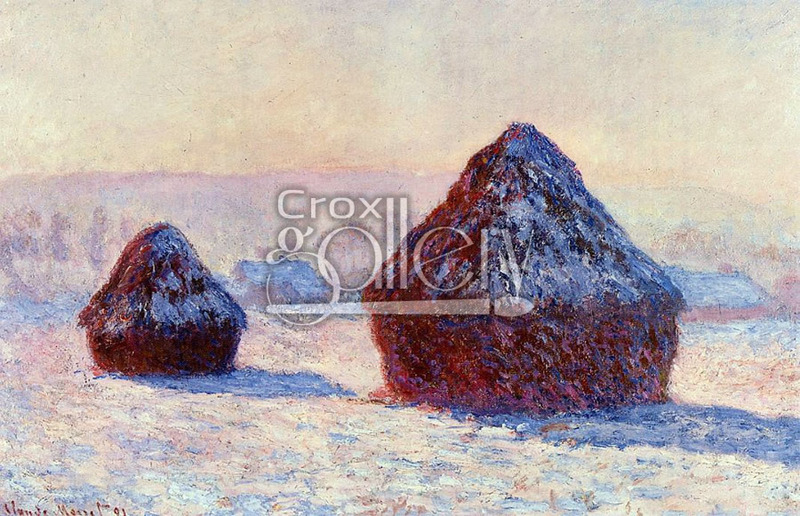 "Wheat and Snow" by Monet, Decorative Contrast Painting. 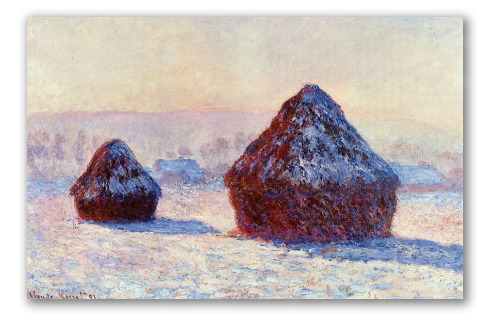 The painting shows piles of wheat in a snowy seen. One can see the stark contrast between the white of winter and the red of the wheat. Painted by Claude Monet.